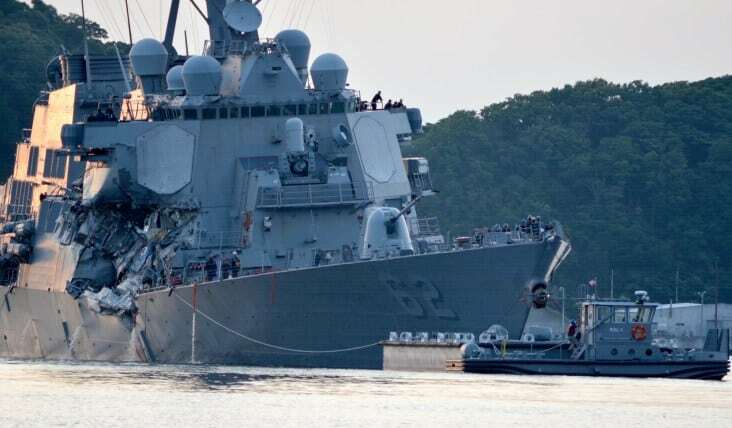 I read an article today about the conditions aboard the USS Fitzgerald before it collided with the ACX Crystal. It was unbelievable. the status boards had graffiti on them. This should be shocking to anyone that a US Navy ship could be run this way, but if you read the story, it just gets worse. The Navy tried to hide this information. It has been a long time since I was in the US Navy. Over 30 years. Back when I was a qualified Office of the Deck and qualified Surface Warfare Officer, any of these conditions would have been unacceptable. The Chiefs (supervisors) would not have allowed it. Good junior officers would have reported problems and got them fixed. Department Heads would have had a fit. And the Commanding Officer (CO) and Executive Officer (XO) would have been screaming at the top of their lungs. Besides the crews leadership, I don’t see how a ship in this condition would be allowed to get underway. 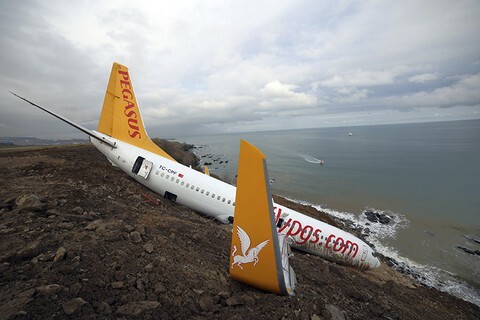 Various inspections and reports would have shown that the ship was not capable of going to sea. So what happened? How was this allowed. An Admiral with over 25 years of experience knew this was wrong. But it seems like the ships crew, many of which have less than 10 years of experience, didn’t have a clue. Even the senior crew members with more than 10 years of experience like the CO, XO, Department Heads, and Chiefs, seem to accept the conditions as perhaps normal or at least allowable. To me this means that the start of these problems must go back more than a decade. Perhaps 15 or 20 years. What was going on in the Navy 15, 20, or even 25 years ago that might have contributed to this culture change? The end of the cold war and the downsizing of the Navy. Budget cutting as part of the peace dividend. Women aboard combat ships as part of the crew. More budget cutting for the Navy to pay for land wars (Bosnia, Gulf War I, Afghanistan, Gulf War II). Assigning Navy junior officers and enlisted to “war” duty in Iraq (Gulf War II) to supplement the Army. Cutting training for junior officers before their first at sea assignments. Requiring “joint tours” with other services (where Navy skills aren’t developed) as part of the promotion requirements for senior officers. Heavy operational commitments for the few ships left in the fleet as the size of the Navy was cut from 500 ships to just over 200 ships without a significant cut in operational commitments. Introduction of more high tech gear without the repair or training need for maintenance or operations of the new equipment. Emphasis on social engineering in the fleet. More emphasis on green energy than on basic seamanship. That seems like an interesting and turbulent mix. I don’t know what the biggest factor is, but all the change and cost cutting must have had a significant impact from the time the Admiral was a junior officer until now. What can the Navy do to fix these problems that the Admiral found abroad the Fitz? First, covering up the problems with fake accident reports and Court Martials (that lay blame rather than identifying the true root causes) must be addressed. Real, effective root cause analysis will point out the Management System problems that are at the root of the cultural issues. This problem didn’t happen overnight. It certainly can’t be solved with a “seamanship” Navy wide stand down for a day. If effective corrective actions are started now, perhaps a decade from now a new culture can be established and we can have a fleet that is ready for the challenges that it faces. However, if the Navy doesn’t face the facts and fix the problems root causes (which isn’t just one bad CO with some bad crew members) – the story the Navy seems to be going with now – then I’m afraid, we will see more disasters in the future as the real problems fester, unfixed. 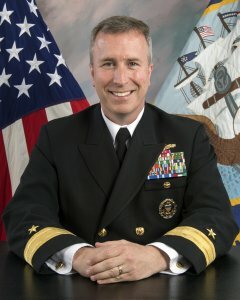 Please leave your comments about the state of US Navy readiness and what can be done as a comment. 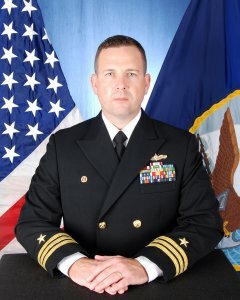 As a US Navy veteran (1976-1996) I was shocked reading this. It’s deplorable! I’d chock some of it up to the new culture in the US. Too hard to get committed workers in any field. Other countries let their children come over as exchange students but will not accept the learning they get hear count towards their graduation back home. The times they are a changing….